A fragile Brad Pitt talks about being a better dad: "I gotta be more for them"
In a lengthy interview with GQ Magazine, Brad Pitt has spoken out about his struggle to move on and do what’s best for the children he shares with Angelina Jolie, in the wake of the couple’s highly publicised split. A gaunt and quite fragile-looking Brad spoke in detail about the challenges of separation and divorce – and the toll it takes on kids. Brad and Angelina are parents to six kids: Maddox, Pax, Zahara, Shiloh, Knox and Vivienne. 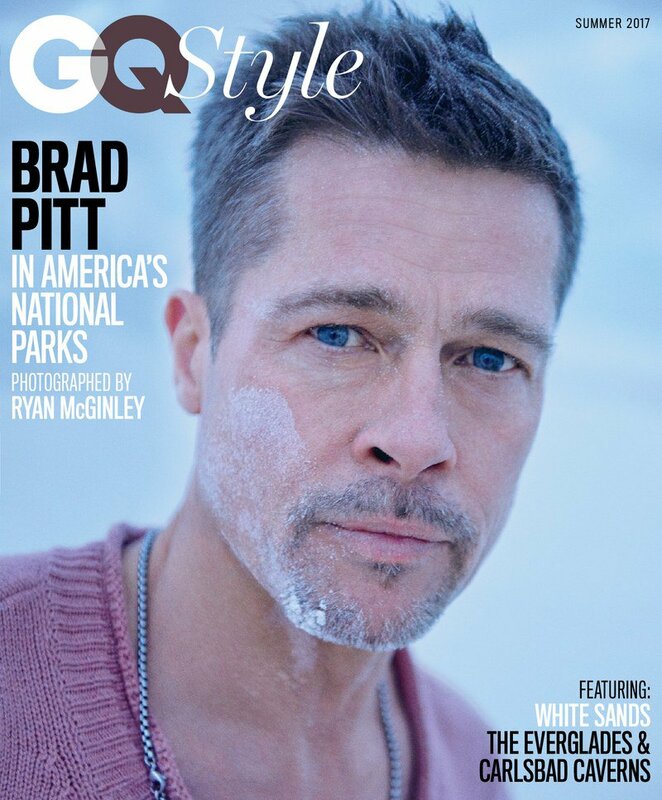 In the GQ piece, a forlorn Brad revealed his current status was “self-inflicted”. He’s said he’s currently focusing on work, therapy and his sobriety, and admitted he’s struggled with alcohol abuse and excess for most of his adult life. Pitt spoke candidly about the pain of separation and its impact on himself and the children and his thoughts are pretty raw and relatable. Pitt: Yeah, I think for everyone, for the kids, for me, absolutely. Pitt: The first urge is to cling on. Brad says the stability and security of his kids are a major priority, moving forward. In a quest to provide some solid roots, Brad’s moved back into the Hollywood Hills home he and Angelina lived in when their kids were quite little. In the wake of the being investigated by the FBI over an altercation with one of his sons (the investigation was closed and no charges were laid), he’s keen to provide a much more secure and sedate environment for his kids. “It’s just very, very jarring for the kids, to suddenly have their family ripped apart. 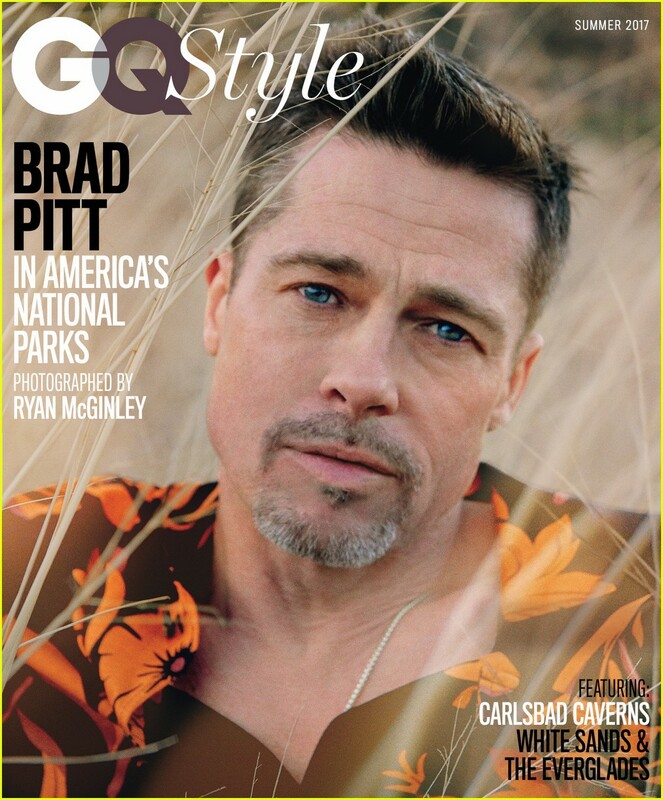 Our focus is that everyone come out stronger and better people — there is no other outcome,” Brad told GQ. Brad seems keen to find a new normal with Angelina, and avoid further friction and chaos, for the sake of his kids. “Kids are so delicate. They absorb everything. They need to have their hand held and things explained. They need to be listened to. When I get in that busy work mode, I’m not hearing. I want to be better at that,” Pitt said. He said his self-perceived “failings” as a father have hit him hard since faced with divorce. He also seems concerned that his kids may have misconceptions about his role in the split, thanks to the press. You can read a bit more about Angelina’s thoughts on the couple’s separation here.